That’s because I am probably the last one to wish you a Happy New Year. Total slacker, that’s me. I have a good excuse, though. I’m FINALLY feeling better (the antibiotics really kicked in yesterday! ), and now I’m very busy tying up loose ends around here before leaving town for almost two weeks. I’m off to Tennessee on Sunday (leaving Jim and the boys at home) to stay with my mom, who recently had surgery on not one, but both feet. I’ll be at her place for a week and then I’m transferring my suitcase ten short minutes across town to Kate’s house, who just made Bean a big sister a couple of weeks ago. I’m going to help her out for a few days before coming home mid-January. Don’t worry, as far as you’re concerned it’ll be just like I’m at home. I’ll still be blogging, twittering, Facebooking, and all that jazz. Anyway, that’s what’s going on over here. As far as 2010 goes, I’m looking forward to it. 2009 was not the best year, and I’m excited about moving onward and upward on this new calendar. I wish you and your loved ones a happy, healthy, and prosperous year. Happy New Year sis. I hope 2010 brings only joy to you, the hubby and your boys. Glad to hear you're finally feeling better. Happy New Year. Hope your trips go well and everyone's doing well. You do realize that I'm SO not ready for Valentine's Day, right? Have a great time in TN — again, fingers crossed that your mom's recovery goes well and that your recovery is shortly complete! Yay to Kate and Bean. I hope you'll be sharing some pictures with us! 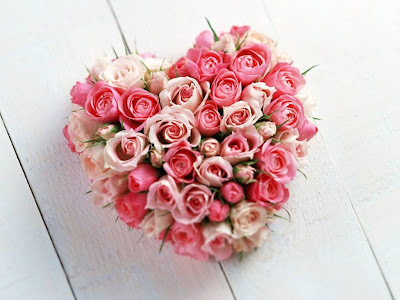 You could easily think it was time for Valentine's Day because the stores are full of hearts and pink already! Glad you are feeling better! Have a safe trip down south! HA, I thought you were wishing a Happy Valentines Day because the stores are already decorated for it LOL…Happy New Year…AND Happy Valentines Day, to you and yours! I hope that you have a WONDERFUL trip, and that you are feeling 100% soon. I'll also have you know that the stores are alreading stocking Valentines Day items, which I find disgusting!!! Wow..this valentine roses looks wonderful. Your blog looks cool 🙂 It was nice going through your blog. Sounds like you will be busy on your time away from home- your family is blessed to have you around! I like this idea because you have much less stubble than the one I've had for the past 17 yrs. Anyway, drive carefully, and may your mom sleep a lot and let you play on the computer all you like, haha. Have a great trip btw…hope your Mom gets better soon. Glad you're feeling better. Have a safe trip and best wishes to your mom for a speeding recovery and congrats to Kate and her new baby. A very Happy New Year to you. Thanks for the Valentine, the roses are gorgeous. Next post: Let’s Make It Official, Shall We?